Arsenal boss Arsene Wenger has wasted no time in responding to Tony Adams after it was revealed his former captain slams him in his new book as extracts are released. Adams criticises the Frenchman for closing the door on his return to the Gunners, while also hitting out at the disrespectful contract offer he received prior to his exit. While the full contents of the book will likely reveal more as Adams seemingly isn’t pulling his punches, it sounds as though Wenger is far from impressed with what the 50-year-old’s had to say based on his comments at his press conference on Friday. As noted by ESPN FC correspondent Mattias Karen on Twitter, as seen below, Wenger dismissed questions about Adams by insisting that he didn’t particularly give much importance to the former England international’s thoughts. The fall-out is likely to rumble on for a little while yet and it will be interesting to see if Adams has a response with the pair not on great terms it seems. Wenger: "I do not give too much importance to what Tony Adams says, honestly." Meanwhile, Wenger has finally given a major indication of when a decision will be reached on his future. With his contract expiring at the end of the season, there has been a great deal of frustration and confusion over the uncertainty that it has caused. As per Wenger on Friday morning, a decision will be finalised at a board meeting after the FA Cup final against Chelsea next Saturday, and a decision one way or the other will be made. 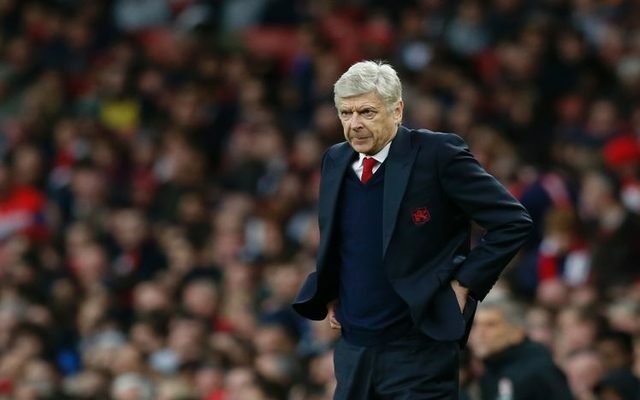 However, the veteran tactician was still not giving any clues as to which way it will go as he refused to confirm whether or not this weekend’s clash with Everton would be his last in charge at the Emirates. Wenger says his future will be finalised at board meeting after FA Cup final. Wenger on whether this will be his last game at the Emirates: "Of the season, yes." But ever? "I cannot tell you that."